It is important to remember when you are on the search for a Bankruptcy attorney in Wichita that you are familiar with bankruptcy terms and options. The more familiar a person is with the bankruptcy process will certainly help in finding the right attorney for the situation. An experienced knowledgeable attorney is essential so that the outcome an individual is looking for has been properly represented. 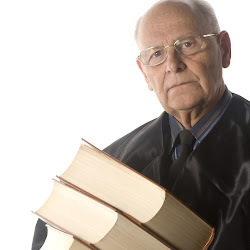 Of course, a person does not need to have an attorney to file Chapter 7 but it would be good to have one present to be sure of all of the laws involved and what is required of you to repay your debt. Bankruptcy is a term used when a person or business cannot repay its debt. There are bankruptcy attorneys available to assist with the various types of bankruptcies. An individual or business who is looking for a bankruptcy attorney is looking for a way to deal with his debts and get a fresh start in life without the burden of continually having to deal with the stress of bill collectors calling night and day. There are five different bankruptcy filings that are available according to the Bankruptcy code. These five are Chapter 7, 13, 12, 9, and Chapter 11. Bankruptcy cases are under the jurisdiction of the Federal courts which means that bankruptcy cases can’t be filed in a state court. A Chapter 7 bankruptcy is available for individuals. This type of bankruptcy is also called straight bankruptcy or liquidation. A Chapter 7 bankruptcy attorney would represent an individual and the court then appoints a trustee who administers the bankruptcy. This type of bankruptcy usually lasts four to six months. To file for a Chapter 7 bankruptcy a person would need to file a petition with the court and fill out a number of forms. A few examples of items that would be listed on the forms include the individuals property, income and expenses, and debts that are owed. After filing for Chapter 7 an automatic stay is put into effect. This effect immediately stops the creditors from trying to collect their money from you by garnishing your wages or going after bank accounts, car, house or other property you may own. A Chapter 7 bankruptcy stays on an individuals credit report for 10 years.